Press the ON DEMAND button on your FibreOP remote. 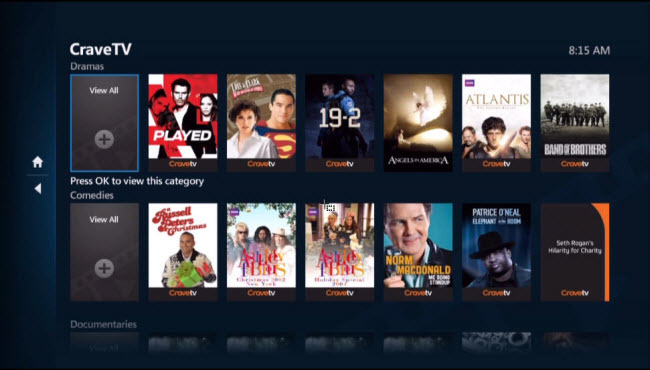 Use your down arrow to select CraveTV and then press the OK button on your remote. 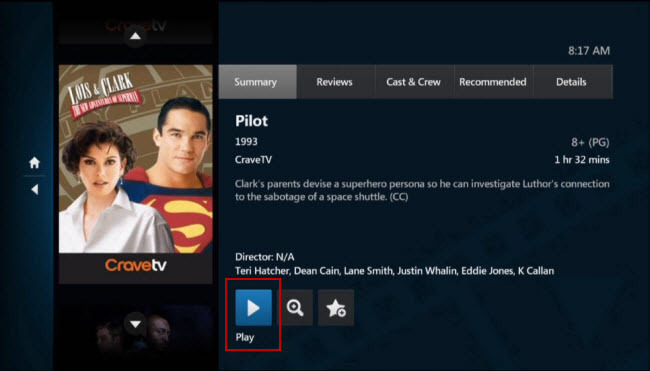 Use your arrow to select View all and press OK for the category you want to watch. Select the program to watch and press OK. The Program info screen appears. Use your arrow to select the Play button (blue triangle) and press OK. 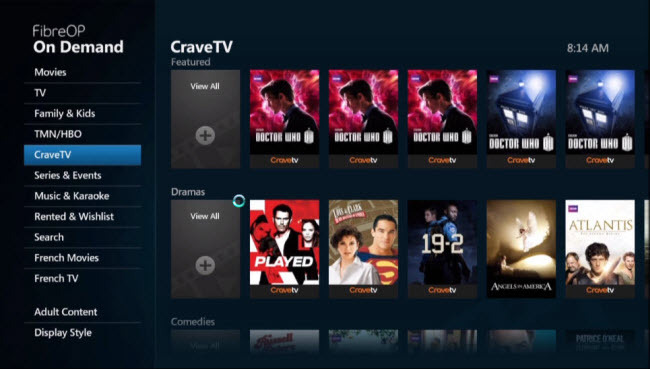 If you are experiencing issues signing in to CraveTV, contact us. If you are experiencing technical or playback issues using the CraveTV app, contact help@cravetv.ca or 1-888-CRAVETV (272-8388). Find out how to watch CTV GO shows on your computer.